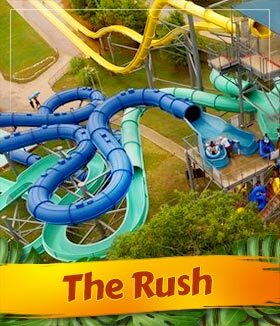 The Rush promises to satisfy all your senses as you slide down in complete darkness! You will be stunned and amazed by the laser lightshow and water misters. Not for the faint of heart! Riders must be 42” or taller to ride this attraction. 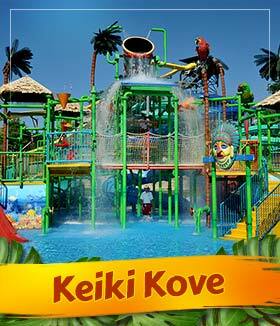 Family friendly Keiki Kove offers rope ladders, geysers and three forty foot slides. 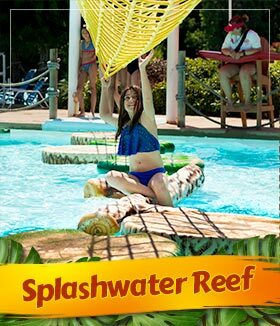 And with its thousand gallon dump bucket, this massive, interactive water fortress guarantees to bring out the kid in everyone. Little Kahuna Approved. 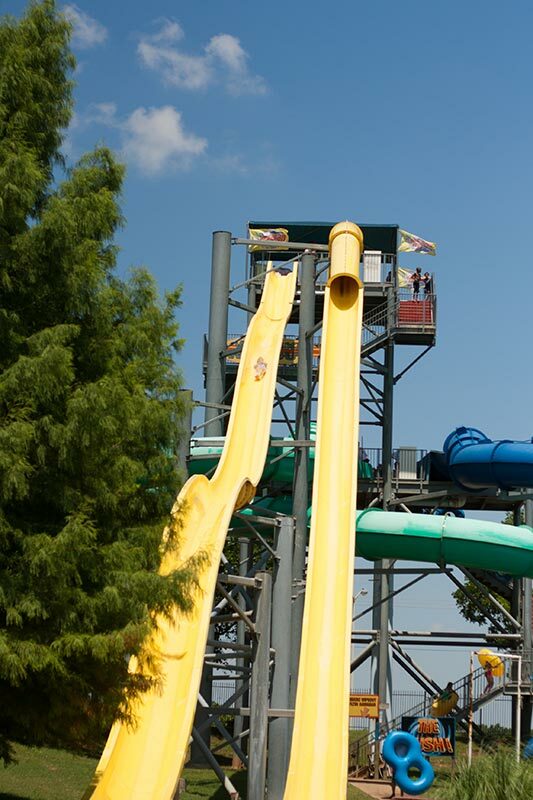 Height Requirement: Must be at least 36 inches tall for slides. 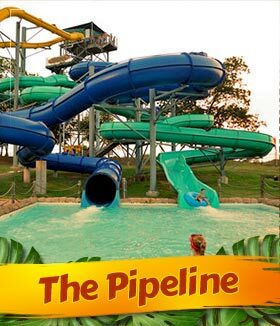 Cool down with the little ones and watch the older kids test their skills on a rope course or playing water basketball. 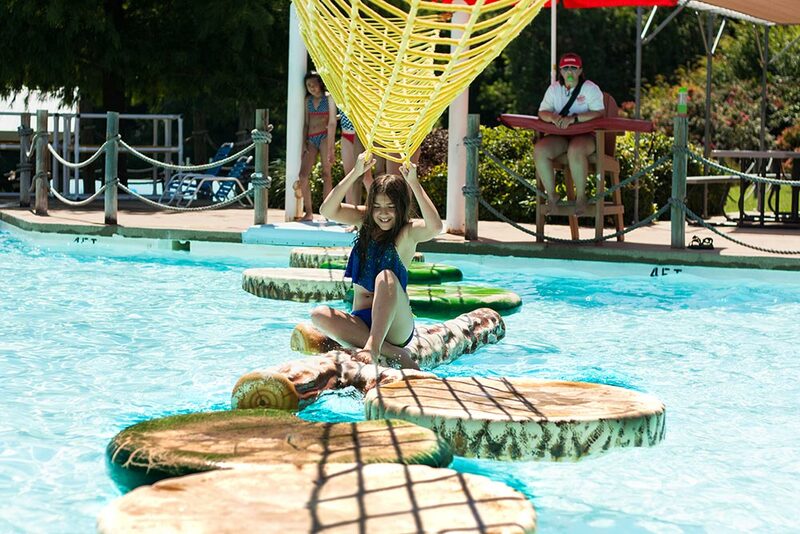 Splashwater Reef is the perfect spot for lounging in the shade while the kids find something to do! Play Pool for the Littlest Kahunas. Children under 12 should be supervised by an adult. 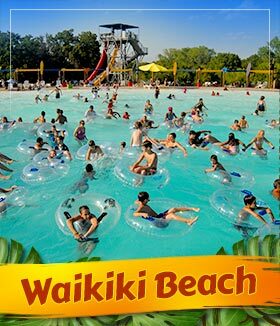 There is no better place to enjoy a day than at Waikiki Beach. 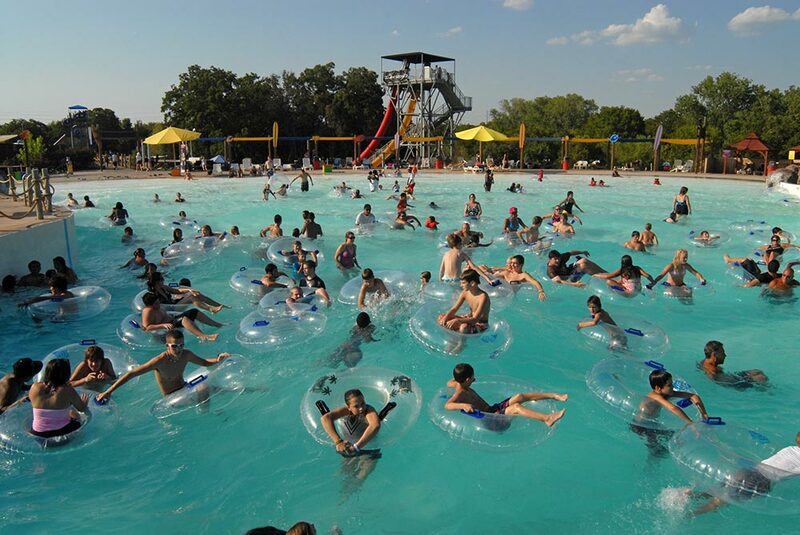 Enjoy the rolling waves of this 16,000 square foot wave pool. Surf’s Up! 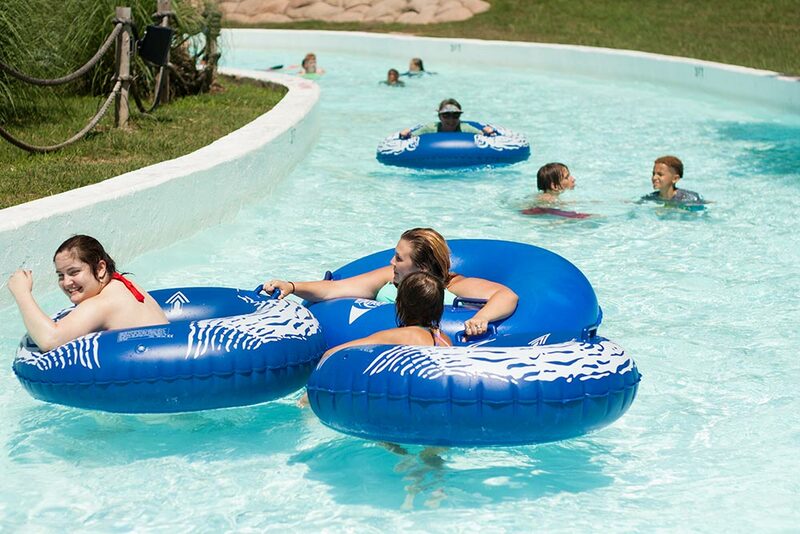 This relaxing lazy river is a mellow ride past waterfalls, waves and a water volcano. 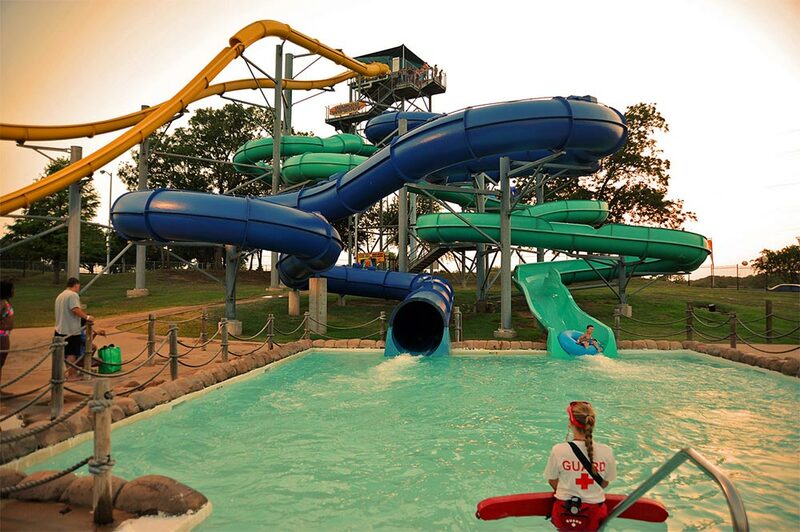 Climb a 65-foot tower and pick your slide for some heart racing, adrenaline pumping fun. Pick a ride on the wild side! Big Kahuna Approved. Height Requirement: Must be at least 48 inches tall. Grab a friend and prepare to live life on the edge! 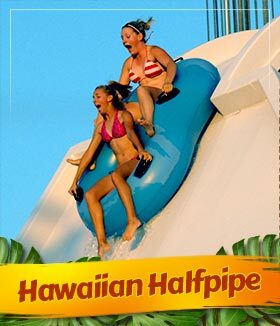 Hawaiian Halfpipe takes you forty feet up and back again! 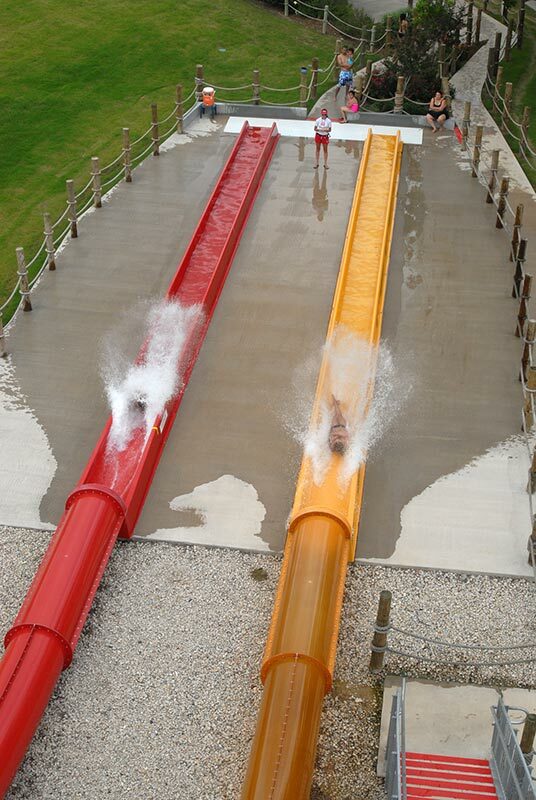 Double Riders only. Big Kahuna Approved. Height Requirement: Must be at least 48 inches tall. 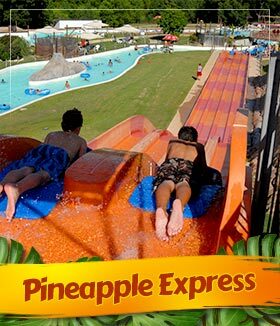 See who gets bragging rights on the Pineapple Express, a four lane head-first competitive racing slide. Ready. Set. Go! Must be at least 42 inches tall. 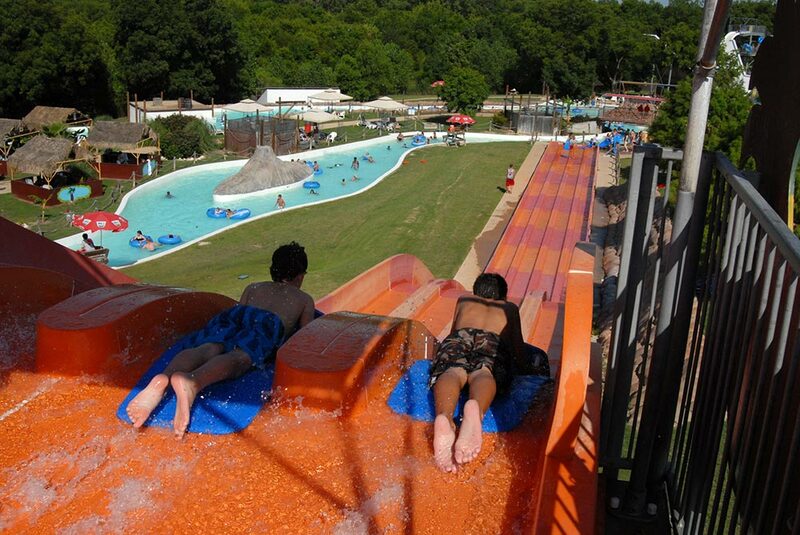 Twisting, turning, half-and-half enclosed inner-tube slides for one or two riders from a 45-foot high tower. The launch is sudden. The acceleration is intense. 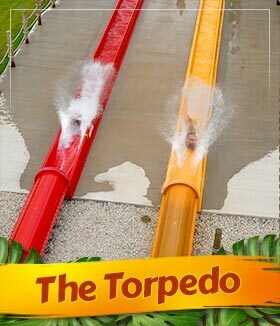 Nothing will prepare you for The Torpedo, a thrill seekers paradise! Big Kahuna approved. Must be 48” or taller. Weight limit: 250lbs. The shaka sign, is a hand gesture associated with Hawaii and surf culture of the 1960s. The shaka sign is used by Hawaiians to convey the "Aloha Spirit", a concept of friendship, to express "howzit? ", "thanks", "hang loose" and "all right!" 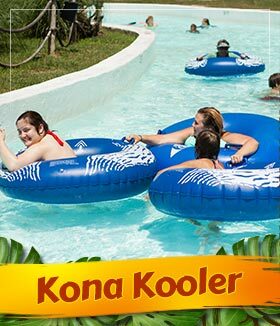 The Hawaiian Falls Shaka Meter rates the park water slides and attractions from 1 to 5. One, being easy and calm to a five meaning intense or thrilling. 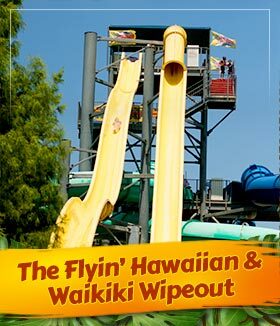 All rides are subject to be closed due to weather, maintenance requirements, or other circumstances and are subject to availability, as well as height, weight, and safety restrictions. For an accurate measurement of your child, please ask an ambassador at the front gate upon arrival.